Do you remember building all sorts of things with LEGO as a Kid? In my architect days, I was always trying to build bigger and aim higher, to only find out that my crafted skyscrapers would fall over without a strong foundation. Like LEGO, any business without a strong digital foundation will fall short of reaching new heights! To build a stable foundation, you need to address four unique building blocks: Developing personas, a responsive website, visibility in search, and standing out through social media. Think of these components as the base of your skyscraper, without one, it will result in the whole building falling over. With that being said, having a strong online presence is a crucial component to the foundation of your brand awareness strategy, if this is done correctly you can sit back and watch your skyscraper grow higher and higher. Never underestimate the power of personas, in the digital age where consumers actively research products, it’s now essential for brands to build an online presence leveraging content that enhances the chances of customers finding you. 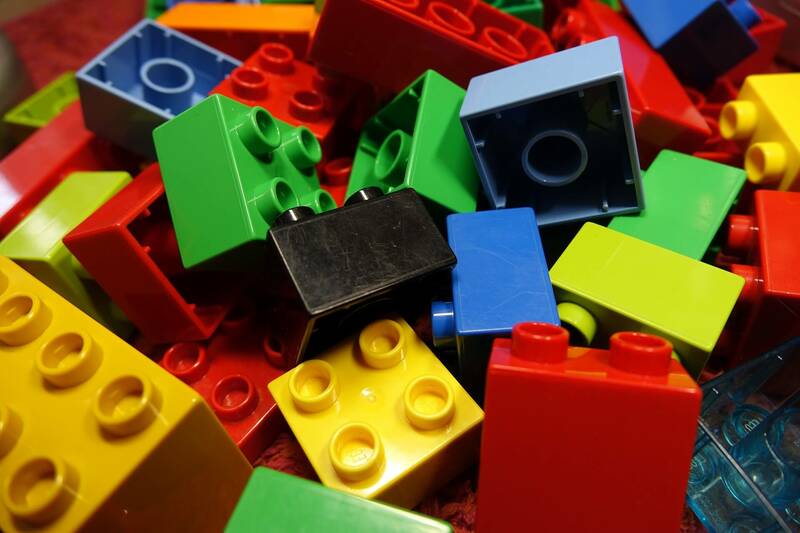 Like LEGO, building a strong online presence is both an art and a science. By combing research, data and creativity enable you to build brand awareness amongst those who are likely to buy from you. Are you always wondering what your customer really wants? By building personas you are no longer in dark, you are now able to identify who your customer is, what drives their behaviour, how and why they buy. In this ever-changing digital landscape, it has never been more important to understand how your customers find your business online and how they interact with you digitally. How? Well, you can stay one block ahead of the competition by utilising Digital Marketing Strategy courses to help build your customer journey. Building a responsive website is a must. Don’t look at this as a stumbling block, organisations are now building their visibility by having a responsive website. That being said, an increasing number of users are navigating around the web on their smartphone or tablets, so it is important for you to understand the customer journey and ensure that your website is now mobile and tablet ‘friendly’. What most businesses have recognised that brand awareness is much more than online presence; it’s the ability to build your own awareness and presence of all things digital. By doing so, businesses are now taking advantage of Digital Marketing courses. It’s about time we test those building skills! If you don’t have a digital presence in today’s rapidly changing digital environment, you don’t exist! It’s no longer enough to just be present. After all, nobody is going to buy anything from you if they are unaware that you exist. Improving your online visibility can be overwhelming, particularly for brand awareness. So why not start with one block at the time? You should first consider how to improve your visibility within search. Search engines are the main source for people finding your website and pages online. So, if you want to ‘stand out from the crowd’, it is important that you ensure your brand is visible within search results. The foundation of search visibility can be built through paid search, which is also known as display ads and Pay-Per-Click (PPC). Although I have acknowledged the value of PPC, I will not pretend to be an expert. Digital Marketing courses can provide you with the necessary tools to build your online presence through paid search. By now, you have already realised that social media is an important part of your structure. If you want your foundation to remain stable, integrating social media channels into your strategy is a fundamental tool. Instead of an all or nothing approach, focus on building brand awareness through a few channels before expanding into all. You want your brand to be memorable right? Social Media provides your brand with visibility like never before! And there is no better way to do this than offering an unlimited amount of video content. Remember you only have one chance to make a first impression, unlike LEGO, you cannot rebuild your brand. Reach new heights by taking advantage of Video Marketing courses to equip you with the necessary skills to produce boosting video content.